I love this time of year. Everyone is a little kinder to one another and the element of surprise is constantly hanging in the air. I have a pile of carefully wrapped presents under and around my tree, I cannot wait for my family to open them. On Saturday the boyfriend and I had our very first early Christmas, there is nothing like new love to make the holidays bright. He definitely put the sparkle in my holiday with a gorgeous necklace and matching earrings. I am one lucky girl. 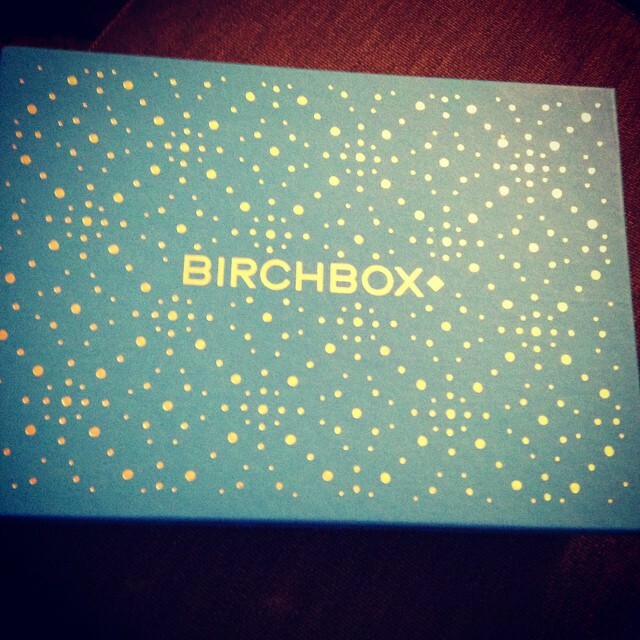 My Birchbox was definitely a surprise this month as I did not get my sample choice item. My choice was not recorded on their website, however a few calls and a bunch of emails later the Manna Kadar Lip Stain was sent out separately from my box. I tried it this morning and I love the color and the texture, the stain is more gloss like than stain. I loved it and will be ordering the full-sized version soon. Now on to my actual December box. amika Perk Up Dry Shampoo: Weightless spray in the brands signature obilphica scent that refreshes hair sans residue. —————————> I have never been a fan of dry shampoos until now, this this smells amazing and it did not leave any white residue in my curls. I will definitely be buying the full-sized version. Dr. Jart+ Black Label Detox BB Beauty Balm: tinted cream brightens, blocks UV rays, and calms blemish prone skin. ————————> I really liked this product, the BB cream covers like a foundation and it was very light and not greasy. This is going to be my new weekend beauty routine go to. Mirenesse – Mattfinity Lip Rouge in Sydney: velvety color with a modern matte finish. No need for lip liner, this stain stays put. ————————> OMG this color is really really bright and it is going into the gift pile. If I wore this people would think I was a clown, plus it seems kind of gunky in its container. SeaRX Anti-wrinkle Facial Lift Treatment Serum: with dead sea minerals and potent hydrators, this formula fights wrinkles and fine lines. Yu-Be Moisturizing Skin Cream: all over hydrator heals and softens everything from rough heels to chapped lips. BONUS! GET YOUR BONUS! BONUS! : Miss Jessie’s® Original Jelly Soft Curls – Wheat proteins condition hair for soft, shiny curls, and the lightweight formula provides lasting definition without leaving any residue or stickiness behind. My Decked Out box was pretty great. Some of the samples were super tiny thou, but hey its BirchBox so that can be expected from time to time. I hope all of you enjoy your December Box and have a very merry holiday!